Conservation laws are a key-tool to study systems of chemical reactions in biology. We address the problem of defining and computing “good” sets of conservation laws. In this article, we chose to focus on sparsest sets of conservation laws. We present a greedy algorithm computing a sparsest set of conservation laws equivalent to a given set of conservation laws. 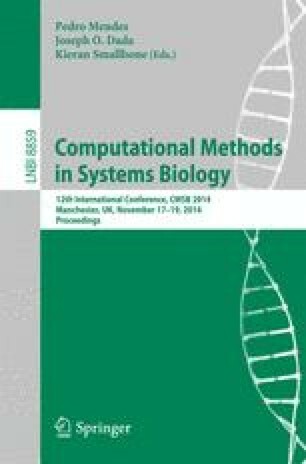 Benchmarks over a subset of the curated models taken from the BioModels database are given.